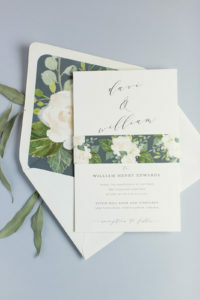 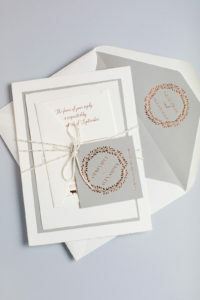 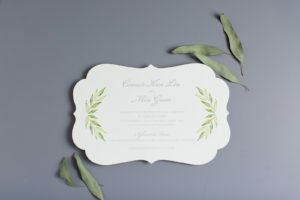 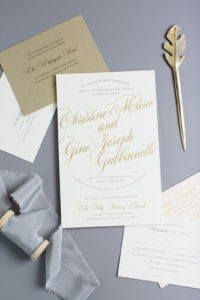 Pale blush brushstrokes are an elegant accent to pretty calligraphy text on this modern wedding invitation. 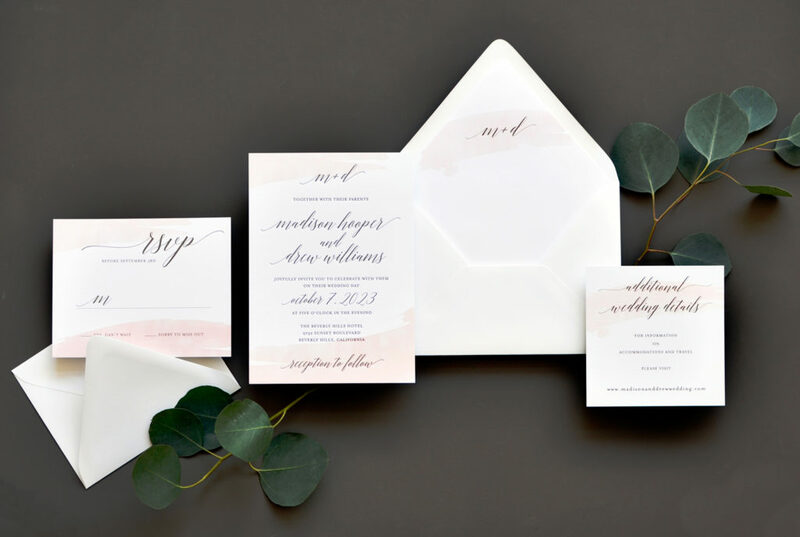 This 5-piece suite as pictured starts at $13.25 per set (in quantity of 100). 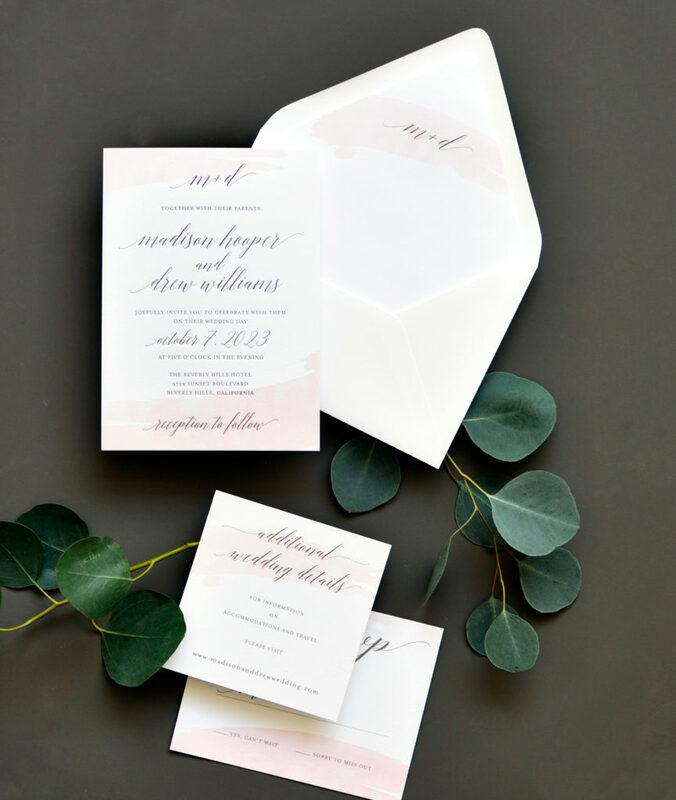 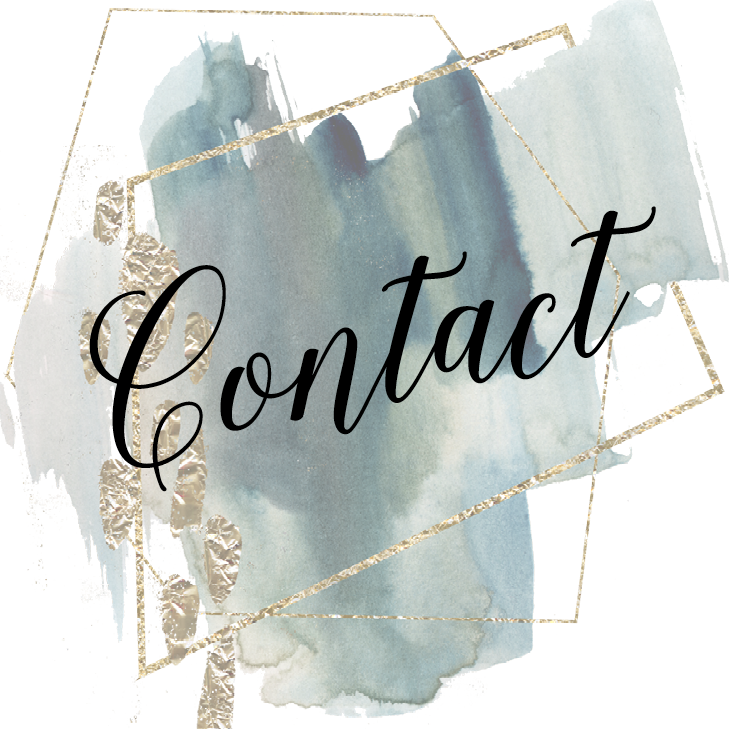 Optional variations include changing colors, upgrading to letterpress or foil, duplexing for a thicker invitation, and more!